Last night, the Templeton Rye team was at Fizz Bar & Grill (3220 N. Lincoln Ave.; 773-348-6000) as part of Chicago's Whiskey Week festivities. TR brand manager, Michael Killmer took center stage in front of Fizz's packed house. 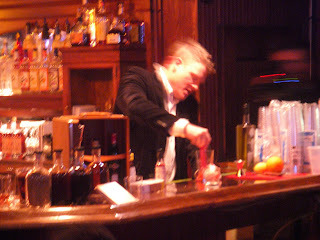 After showing a short film about the history of the rye whiskey, Killmer demonstrated how to make several classic cocktails using Templeton Rye, including the Sazerac, Old Fashioned and Manhattan. Guests were treated to mini samplings of the cocktails while watching a second short film about the Templeton Rye Distillerly, located in the small town of Templeton, Iowa. Also on hand were Templeton Rye President and Founder, Scott Bush, along with Assistant Master Distiller, Keith Kerkoff. Bush's great grandfather, and Kerkoff's grandfather both made Templeton Rye whiskey decades ago. Bush and Kerkoff got together, using the Kerkoff family recipe, to create Templeton Rye as we know it today. Although TR is currently only available in Iowa and Illinois, expect a nation-wide launch in the next three to five years. Miss last night's event? The TR team is back in action tonight, March 31, at Binny's Beverage Depot (1132 S. Jefferson St.; 312-768-4400) 5 p.m.-8 p.m. Meet the team and get an autographed bottle of Templeton Rye whiskey. These Whiskey Week events are the kickoff to the 9th Annual WhiskyFest Chicago, put on by Malt Advocate magazine. 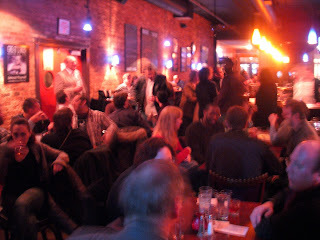 WhiskyFest is this Wednesday, April 1 at the Hyatt Regency Chicago (151 E. Wacker Dr.), 6:30 p.m.-9:30 p.m. Visit http://www.whiskyfest.wordpress.com/ for more information. 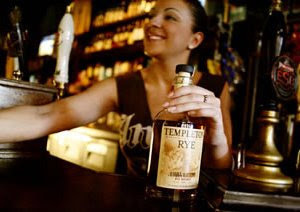 To learn more about Templeton Rye, visit http://www.templetonrye.com/. 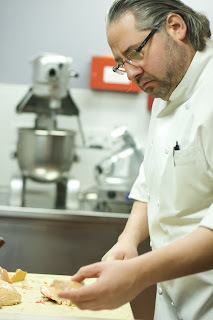 This weekend only, join Glen Prairie (1250 Roosevelt Rd., Glen Ellyn; 630-613-1250) for Executive Chef Daniel Ovanin's weekend specials, offered in addition to the regular menu. Available Friday, March 27 through Sunday, March 29, these three dishes feature the freshest locally farmed and organic ingredients. Specials include: Venison Tenderloin Carpaccio (from Iowa's Freedom Farm), brown butter-root vegetable puree, organic baby carrots, tomato and grape Port sauce, fried capers and smoked sea salt ($12); Poached Great Lakes Striped Bass, garden vegetable consomme, citrus and shaved fennel salad, and fresh herbs ($22); and Spiced Grilled Missouri Catfish, roasted potatoes and sweet peas, grilled tomatoes and remoulade ($18). Wine pairings are also available. 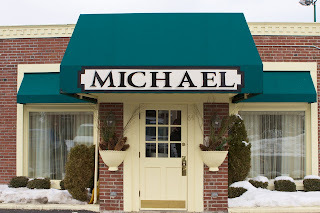 For reservations, called (630) 613-1250 or visit http://www.glenprairie.com/. 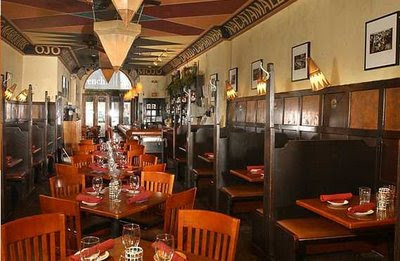 Don't miss these weekend dining deals! 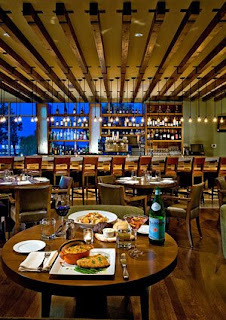 Save the planet and enjoy local fare at Birch River Grill (75 W. Algonquin Rd., Arlington Heights; 847-427-4242) this Saturday, March 28 during Earth Hour from 8:30 p.m. until 9:30 p.m. At only $20 per person, you'll be saving cash along with the planet. Birch River Grill's local-food focused EarthHour Dinner begins with Organic Field Greens Salad, shredded Michigan carrots and radishes. Then, a choice of either Grilled Organic Pork Tenderloin, glazed Michigan carrots and radishes, roasted Wisconsin Yukon gold potatoes and Michigan kiln diced cherries and red applace sauce, or Rushing Waters Rainbow River Trout, mashed Yukon gold potatoes, cumin scented Michigan carrot broth, Illinois daikon, radish sprouts. This dinner is perfectly accompanied with Goose Island Brewery's 312 Urban Wheat Ale, available for $3. Bar specials include: Buffalo Hot Wings, with carrot and celery sticks and Wisconsin Blue Cheese dipping sauce ($4.50)Bud Light ($3). From 8:30 p.m. until 9:30 p.m., the restaurant will turn off overhead lights in the dining area in it's observation of EarthHour. Candles will be available for each table. 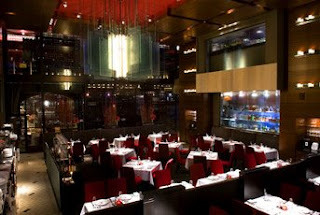 The restaurant will also turn off any non-essential lighting, set the cooling system temperature in public areas at 72 degrees and make additional efforts wherever possible with the staff to create awareness behind the restaurant's continued journey in sustainability. Reservations are recommended. Call (847) 427-4242. 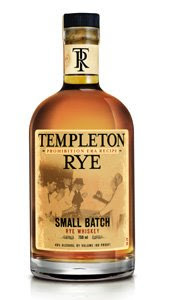 Templeton Rye, a rye whiskey company based in Templeton, Iowa, will be part of Malt Advocate’s 9th Annual WhiskyFest Chicago 2009, April 1 at the Hyatt Regency Chicago (151 E. Wacker Dr., 312-565-1234), from 6:30 p.m. to 9:30 p.m. VIP tickets for WhiskyFest are sold out, but a limited number of general admission tickets for $95 remain. WhiskyFest Chicago features more than 200 of the world's finest, rarest and most expensive, single malt and blended Scotch, Irish, bourbon, Tennessee, Japanese, Welsh, Canadian and other whiskies from around the world to sample in one Grand Ballroom. High-end rums, tequilas, beer and other spirits are represented as well. The focus is on education, and various distillery representatives are at the pouring booths to explain how the whiskies are made. 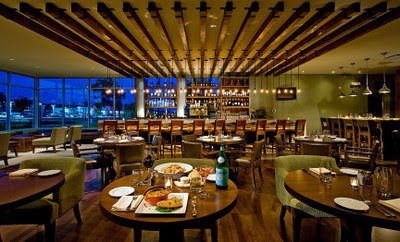 Seminars, many featuring their own tastings, run throughout the evening. Guests meet distinguished members of the whiskey community, and learn first-hand how their brands are made. The father and son team of Meryl Kerkoff and Keith Kerkoff, Master and Assistant Master Distillers at Templeton Rye, respectively, will also be at WhiskyFest pouring Templeton Rye and telling Templeton Rye stories at the rye whiskey’s event booth, number 13. Meryl Kerkoff learned how to make the rye whiskey from his father, Alphons, and Keith is meticulous about keeping up the quality production started by his grandfather. Bush, a noted craft distiller, will be part of a six-person panel discussing the practice from 8:30 p.m. to 9:15 p.m. at WhiskyFest. Can't wait to get your hands on Templeton Rye? 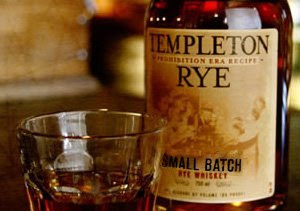 Don't forget In Fine Spirits (5418 N. Clark St., Chicago) is hosting a "Behind the Scenes at Templeton Rye" event today, March 25, 7 p.m.-8:30 p.m. Learn more details about the event here. Chicago Gateway Green's annual Green Tie Ball, produced for the past two years by Denise McGowan and Michelle Durpetti of McGowan Durpetti & Associates (MD&A), was named the top "Benefit" as part of BizBash's "Chicago's Top 100 Events" roundup. See the full article on page 68 of the March/April issue, or download here. 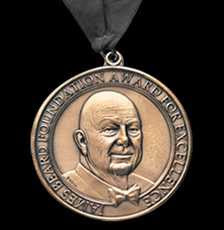 This isn't the first time the year-old company has been recognized for its efforts. 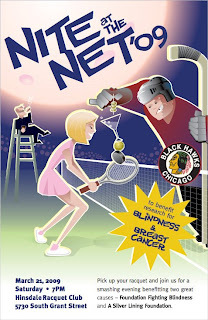 The 2008 Green Tie Ball was listed as the number one event in the 'Top 100 Events in Chicago' list last year in BizBash. More recently, the Chicago Sun-Times named Green Tie Ball as one of the top three charity events to attend in Chicago. The MD&A team has a combined 45 years experience in entertainment, events and marketing and specializes in event production and management for many corporations, associations and non-profit organization, including Chicago Gateway Green. For more information about MD&A, or to see how they can help with your next event, call (312) 994-2620 or visit http://www.mcgowandurpetti.com/.